Ten shots, four stages. Here Mas tries out his two-hand technique for three quick ones. All of a sudden, five yards isn’t all that close! For 20 years now, master trainer Tom Givens has run his value-packed Rangemaster Tactical Conference. In tandem he offers the Polite Society defensive shooting match. The 2018 event held in Little Rock, Arkansas, was — for the first time since I’ve been going — a fixed-time event instead of time-computed-with-score. It would have been challenging as a police qual, but there were lots of master shooters attending and 38 of us of the 180-plus who shot the event tied with perfect scores. For a tie-breaker to determine the 16 finalists for the person-against-person shoot-off, Tom made us shoot the Five-Yard Roundup. It was a course I’d heard of but hadn’t tried. A great overview of this course can be found here, at one of the best gun-related forums on the internet: https://pistol-forum.com/showthread.php?30106-Week-258-Five-Yard-Roundup. It was created by Justin Dyal, USMC Retired, whom I consider one of the brightest lights in the current crop of firearms/tactical experts. All shooting is done at five yards, each stage within a 2.5-second time frame. The target is the repair center of the B8 bulls-eye used for 25-yard timed and rapid fire. Herrett stocks and sweet K-Frame action let Mas shoot 95 out of 100 with his S&W M12 Airweight. Light .38 wadcutters sure didn’t hurt! The course of fire covers a lot of ground for only 10 shots in four stages. (1) Starting with hands at sides, draw and fire one shot, free style; (2) At low ready, free style (hopefully two-handed), raise the gun on the signal and fire four shots; (3) From low ready, three shots dominant hand only; (4) From low ready, two shots non-dominant hand only. The possible score is 100, which makes percentage scoring awfully easy for comparison purposes. Pretty hard to cover more core skills within only 10 cartridges. Anything outside the scoring rings is a miss, costing 10 points and a late shot costs 5. Gen5 GLOCK 19 9mm gave the author this 100/100 target on Five Yard Roundup at TacCon. Obviously the Five-Yard Roundup is an excellent test of core skills; a round count of 10 isn’t enough to encompass speed reloading, shooting on the move and from behind cover, etc. But the economical advantage of a 10-shot course can’t be overstated. Carry ammo is expensive and many law-abiding CCW folks can hear the ring of the cash register over the gunfire when they shoot, say, the old IDPA 90-shot classifier to monitor and maintain their own skill. It’s also a great “comparison course.” In the ongoing “9mm versus anything else” debate, just how much does .45 ACP recoil cost you in hit potential at speed? TacCon was my first exposure to this drill, and I had the good fortune to clean it there with a 100 score, shooting 115-gr. American Eagle 9mm ball from a stock Gen5 GLOCK 19. When I got home, I tried it again with my Springfield Range Officer 1911 and 230-gr. .45 hardball and dropped two 9s for a 98 score. Tried it again with a Range Officer Elite .45 and a rushed first shot into the 8-ring and another 9 yielded a 97. Never mind caliber wars, I’ve found the Five-Yard Roundup more useful for comparing platforms. Shooting it with 2" revolvers, a small-frame Kimber K6 was too short for me in trigger reach, and I bucked two shots upward out of the target zone, losing 20 points right there with .38 Special wadcutters. (My thanks to Dr. Gary Roberts and retired Lt. Chuck Haggard for making these light loads “defense-approved” in .38 snubs.) With full power 125-gr. .357 Magnums I worked harder on the K6, I think, and got a raw score of 87 “all in the rings,” adjusted downward to 82 due to a late shot. 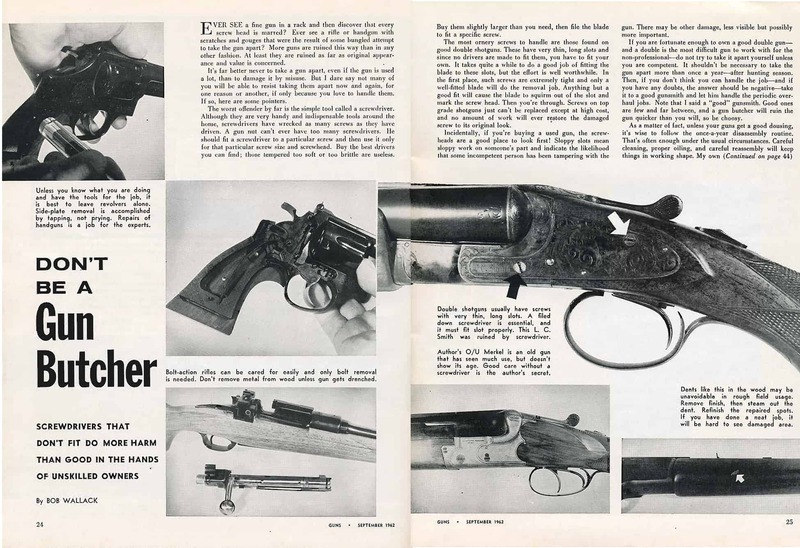 But with a larger yet lighter K-Frame S&W Model 12 Airweight with hand-filling Herrett stocks and .38 wadcutters, the result was a 95 — all hits in the black. The Five-Yard Roundup is easy, affordable and excellent for testing yourself in lots of ways. My thanks to Col. Dyal for creating it, and to Tom Givens for promoting it. I think its true value shows when it’s “shot cold.” Meaning no warm-ups! Purchase A PDF Download Of The GUNS Magazine November 2018 Issue Now!